Game developers have been experimenting with interactive drama on PlayStation for some time now, from the early days of Indigo Prophecy on PlayStation 2 to the very successful Heavy Rain and the polarizing Beyond: Two Souls of recent years. Hidden Agenda takes this one step further by adding in a group element, supporting up to six players working together to make decisions. In this crime thriller—developed by Supermassive Games, creators of another interactive drama game, 2015’s Until Dawn—players work to solve the mystery of the serial killer known as the Trapper. Hidden Agenda is unique in that players don’t use controllers but rather each download a free app onto their smartphone, using it to control a cursor on the screen to make selections. It’s a bit clunky, but it works. Also on the app are character bios and plot threads that update as that game progresses. The app is nice in that you don’t need to worry about having enough controllers for everyone, making pickup games easy; just have your guests download the app and quickly jump into a game. Players investigate the Trapper murders as detective Becky Marney and district attorney Felicity Graves. Being an interactive drama, there’s no actual “control”; rather, the game functions more like a movie, with players watching scenes, selecting actions and conversation responses, or completing quick-time events when prompted. A major feature is Hidden Agenda’s “ripple effects”— the idea that the choices will have consequences later on and will potentially branch the story in different directions. The game features two modes: story and competitive. Story mode is the standard mode in which players work together to solve the crime, deciding together which choices to make. Competitive mode, on the other hand, adds a layer of unpredictability and makes things much more interesting. Under this setting, in each segment of the story one random player is secretly given a “hidden agenda” card, which lists an objective that may or may not go against the group’s interests. This can be things like “Get character X to confront character Y” or “Ensure character Z escapes.” Decisions need a majority vote to pass (or a unanimous one, in some cases), so the person with the hidden agenda may need to attempt to subtly persuade others or to use a “takedown card,” which locks everyone else out of the vote but can be overridden by other takedown cards. Just before the decision that will decide the success or failure of the plan, players will vote on who they think has the hidden agenda. If their guess is correct, they get points. If the player with the hidden agenda successfully pulls it off, that player scores points. The ultimate goal is to have the most points at the end of the game. In the final act, every player is given an endgame agenda card, which likely wildly conflicts with everyone else’s objectives. One player might be trying to get the correct suspect arrested, while another may be trying to get one of the important characters killed. Our first playthrough of competitive mode was a royal disaster, ending prematurely with several innocent people dead and a killer on the loose without any solid leads as to who that killer actually was. Still, it was a good time watching the situation spiral out of control. On the visual side, Hidden Agenda suffers from minor stuttering and pop-ins. The character models are quite detailed, but they all have similarly soulless, glazed-over eyes, which is often distracting. The voice acting can be hit or miss, especially the game’s meta narrator—who informs players of things such as when a hidden-agenda card is being distributed and sounds like he’d be more at home in a cheap workplace safety video. The writing also varies in quality; it gets more than a bit “crime-drama cliché” at times, and there are little things that stick out, like one of the hot-headed detectives who refers to something as “horse manure” but then has no problem spouting off several swear words a few moments later. In my opinion, many of these issues likely stem from Hidden Agenda’s relatively small budget. I’d like to see Supermassive Games take another swing at a party-based interactive drama game with a budget commanding a larger price tag, allowing for a longer and more robust story with better voice actors. Competitive mode is by far the biggest draw and can lead to some fun moments, especially when things start to go off the rails. With a playthrough clocking in at about 90 minutes, you can easily finish in a single sitting, and because of the branching storylines you can get a few playthroughs out of it before things start getting old. If you’re planning on playing just by yourself I might err against buying it, or at least waiting for a sale, as the real experience lies in playing as a group. Hidden Agenda makes for an entertaining party game, especially when playing with six players, making it worth the relatively low $20 entry fee. 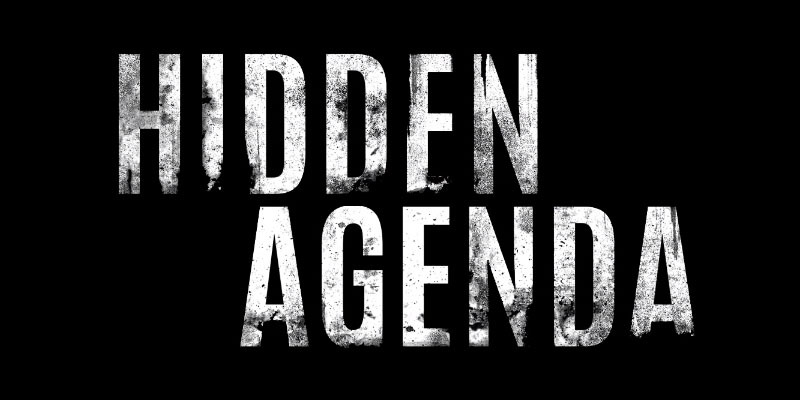 Hidden Agenda is available for PlayStation 4 on disc and digital download.